Over the period of last week, I had the privilege of being invited to Ippudo's Grand Menu tasting at 2 of their outlets with the first one being The Gardens Mall outlet. Located slightly hidden from the more main and heavier walkway of the pedestrian foot traffic, this place still garner quite a crowd when the time strikes dinner time. 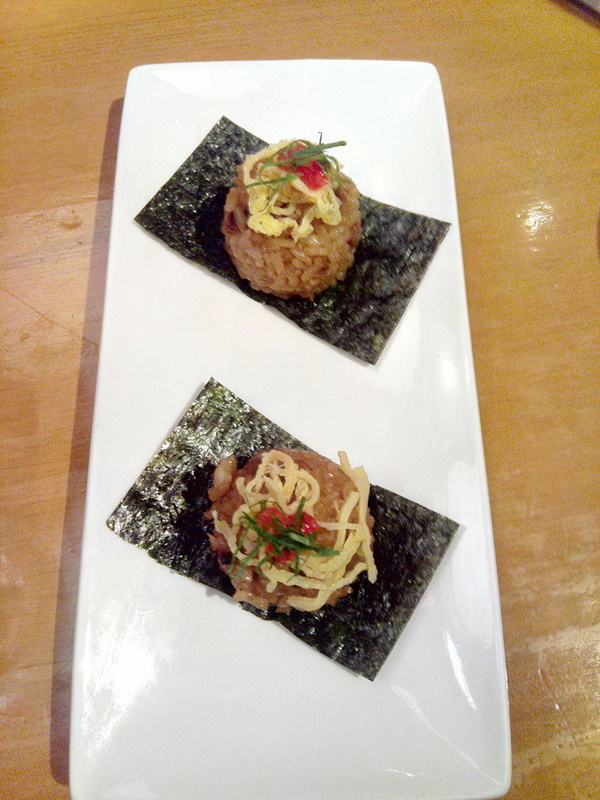 Here are the delicious items savored during the tasting of the menu at Ippudo, The Gardens Mall. It started off with a few appetizer, to be exact 5. First came the Peperon Edemame. 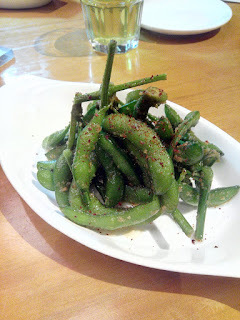 I'm sure most of you are familiar with what an Edamame is should you eat Japanese food. They're usually this appetizer that are peas in a pod. Mostly had an exterior that's coated with salt, the one that's called Peperon Edemame is a unique blanched one that's tossed in dry chili, Japanese spice and olive oil. Though the olive oil may prove to me something that gets my hand grimy, the blend of this unique taste has got me addicted in consuming it. Hand made rolled nigiri, these rice balls contains sliced omelet and basil topped with mentaiko on top and as you can see, consists of a seaweed as it's base to which the nigiri is placed on top. Perfect for a mouthful of goodness as you pop these babies into your tasting organ. It has that slightly sweet taste with the omelet and such and a nice crunch to it having the seaweed at the bottom. 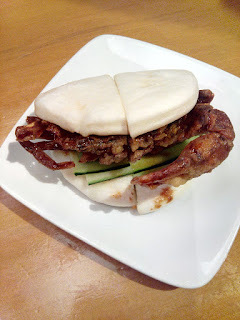 This reminded me a little of the Hong Kong Pork Chop Bun where they have a piece of meat in between "mantau" buns. The same concept applies here and the meat at the center was the soft shell crab. It goes very well with the bun where the bun in itself is nice and delicious. Soft in it's texture and once that flavor of the soft shell crab sinks in, the bun tones it down and gives birth to a lovely combination of flavors. This probably was one of my favorite for the evening. 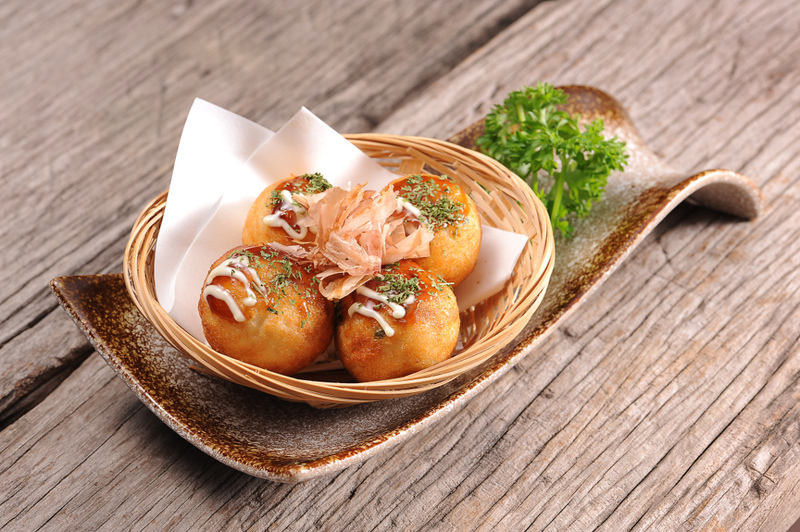 If ever you eat Japanese food before, Takoyaki is a common well-known Japanese dish. 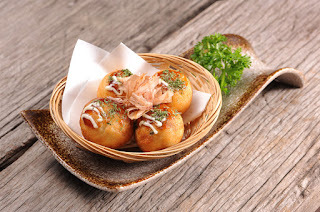 Takoyaki or Octopus Dumpling comes traditionally with the teriyaki sauce for an enhanced taste and some Bonito Flakes on top dancing away to the beat of the heat and steam emitted from the Takoyaki. These are priced at RM14 at Ippudo. 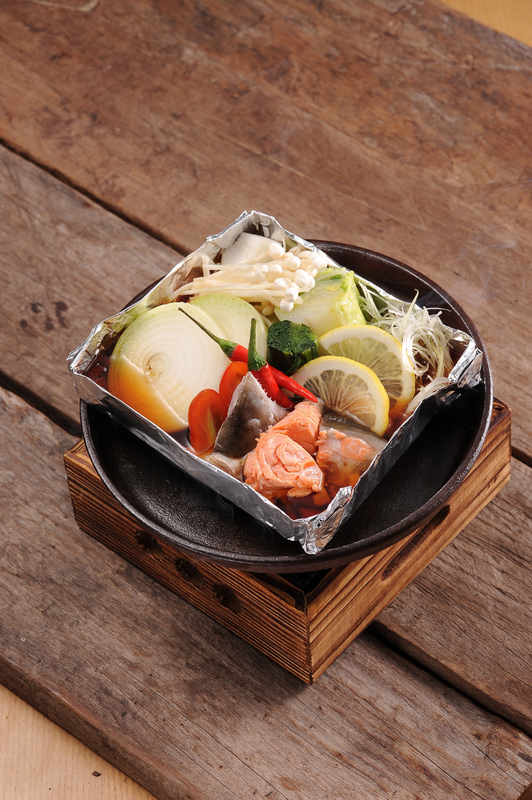 Bathed in their special spicy ponzu sauce, the steamed salmon has a variety of assorted vegetables to go along with it. I must warn you though, it contains quite a fair bit of bones on their salmon and it's kinda annoying fishing out those bones from the fish. But their sourish spicy sauce is a delight to be had. 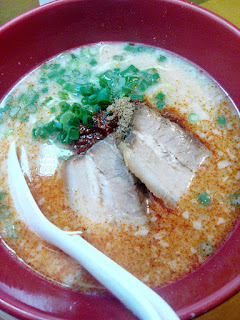 The broth that goes along with the smooth ramen is a joy to me and their chashu would satisfy my meat cravings. They have up to level 3 of spiciness on this dish and though the spiciness increases at level 3, it does not deter the taste nor make it any difference as level one. The heat does cause me to sweat quite a bit but didn't stop me from finishing it up be it level 3 or level 1. Priced at RM27.90 a bowl. 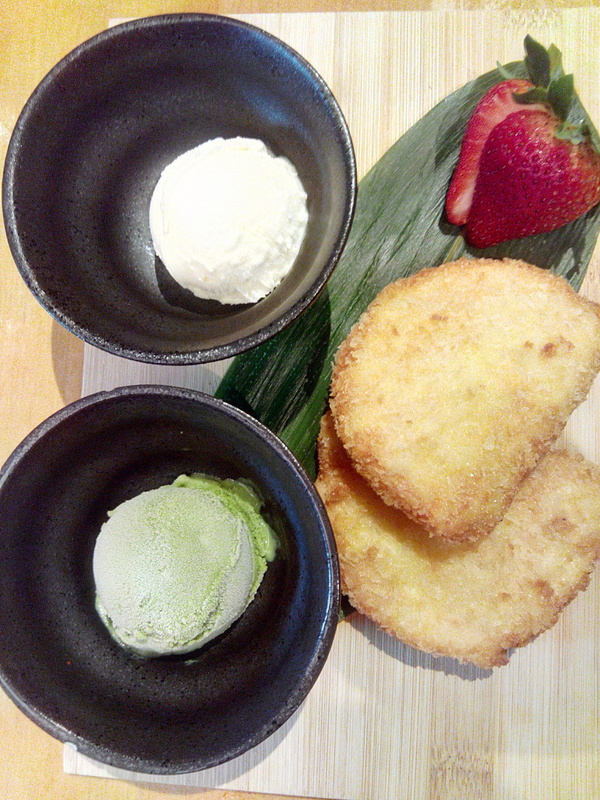 There's 2 scoops of ice cream served with some deep fried buns and that is the Vanilla and Green Tea ice cream. Just pop them altogether and enjoy a symphony of much going ons. LOL. The Ippudo at The Gardens Mall is on the 3rd Floor, Lot T218 and opens from 10am - 10pm, daily. Next, I venture off into the tasting menu of Ippudo's Bangsar Shopping Centre outlet where a completely different set of dishes were eaten.